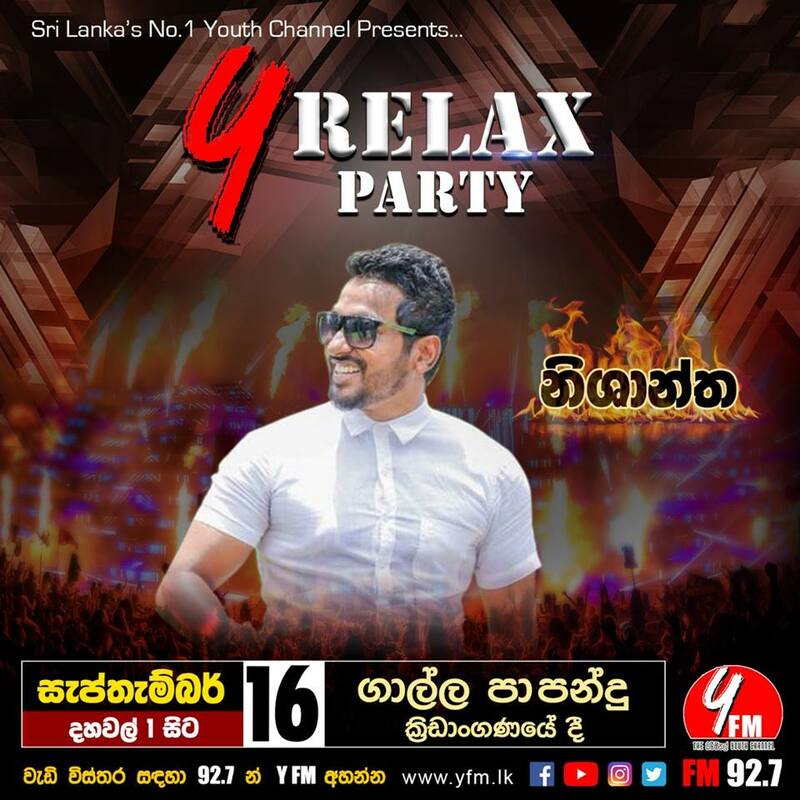 Nishantha Y Relax Party සැප්තැම්බර් 16 ඉරිදා ගාල්ල පාපන්දු ක්‍රීඩාංගණයේදී. Previous Post: Sanuka Wickramasinghe Y Relax Party සැප්තැම්බර් 16 ඉරිදා ගාල්ල පාපන්දු ක්‍රීඩාංගණයේදී. Next Post: Wasthi Productions “වස්ති” #Y #Relax #Party සැප්තැම්බර් 16 ඉරිදා ගාල්ල පාපන්දු ක්‍රීඩාංගණයේදී.